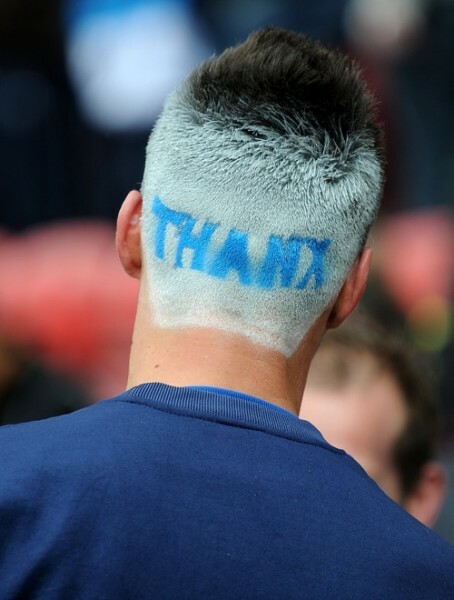 What better way to show your gratitude to fans at the end of a long season than by dying the word ‘Thanx’ into the back of your head? Exactly. Scharner has played his last game for Wigan – against Hull City on Monday – and is looking for a move to another Prem club. Everton and Aston Villa have been mentioned [LINK]. I’m sure most Wigan fans will wish him luck – he was a good servant to the club. 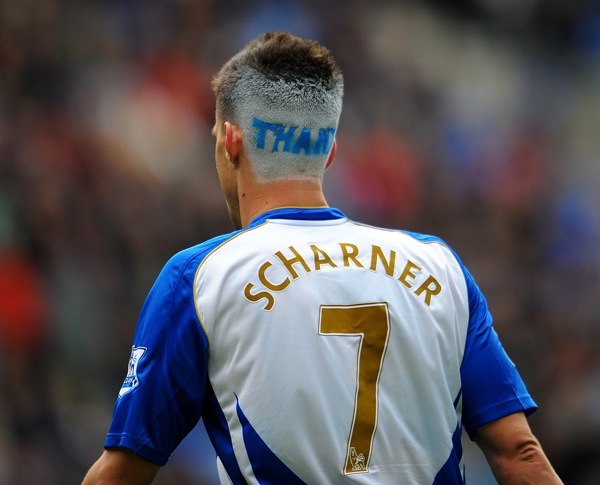 Of course, the mentalist Scharner has previous.